Hello and welcome to Cincinnati Acupuncture. I’m Carole Paine and I am a licensed practitioner of Traditional Chinese Medicine and acupuncture. 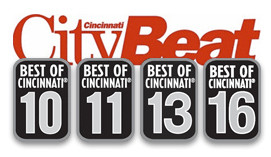 I have been in practice since 2000 and gladly serve the greater Cincinnati community. I have travelled near and far to study Chinese medicine. I attended one of the oldest and established acupuncture schools in the U.S. and have had the opportunity to study twice in China. Please go to my background for more detail. I came to try acupuncture myself for my own health and became a believer. I know firsthand that it works. Acupuncture helps our own body to heal without drugs and works in support of the western medicine care you may already receive. Acupuncture addresses issues of pain and injury, helps the immune system, reduces stress and anxiety, benefits better sleep, improves general health and vitality and benefits infertility. Go to FAQ for more details. Acupuncture and Chinese medicine benefit not only pain issues and internal health, but also help calm and balance the emotions. Treatments are tailored to each individual’s health picture. Chinese medicine is an ancient practice that strives to create balance in the body and the mind, making it a perfect fit for the hectic demands of modern life. Please read about the experience others have had in my office under the testimonials section. I love helping people achieve better health and wellbeing. Contact me for appointment scheduling or any question you might have. Acupuncture benefits and stimulates our own ability to heal for pain, injury, fertility/infertility, stress and much more.